A journey through the world of the Rainbow Gatherings – autonomous intentional communities where thousands of people gather in nature for a month to dance, sing and celebrate together in a temporary utopia. Imagine you, the room you’re in, the planet and everyone in it were all just a Story, figments of imagination in the mind of a Storyteller. 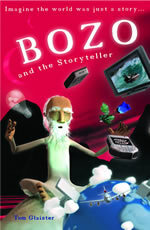 But with Hoomanity set on self-destruction, the Storyteller’s health begins to fail and if he should die, what would become of the Story that he tells? 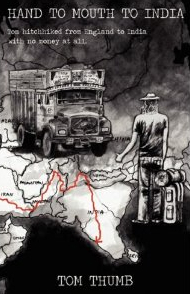 Hand to Mouth to India is the tale of when I hitchhiked from England to India at the age of 20 with no money at all. Passing through England, France, Belgium, Germany, Austria, Hungary, Romania, Bulgaria, Turkey, Iran, Pakistan and finally arriving in Goa where I slept on the beach all season and wrote the book. 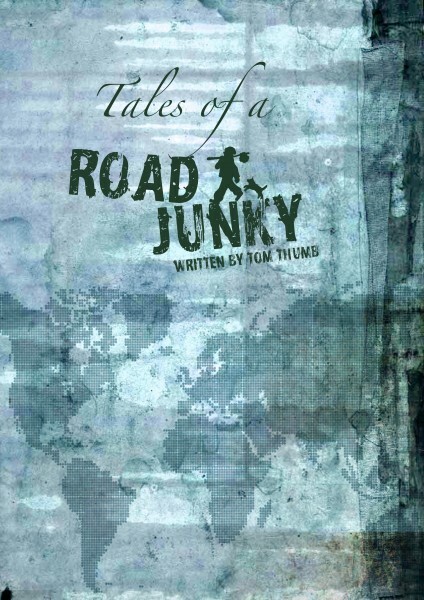 Tales of a Road Junky covers the last 12 years of my journeys around the world, telling the tale of coming of age in the Goa trance scene, rescuing foreign prisoners in Delhi, selling fake Rolex watches in the street in Tokyo, getting into trouble with the medicine mafia in Brazil and delving deep into the heart of Israelity in the Promised Land. 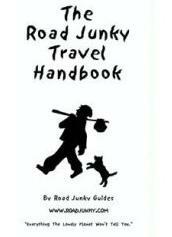 Buy Tales of a Road Junky for $3.99 on the Kindle or on the Nook.